Welcome to the month of love. February is a great moment for you to reward the achievements of your franchisees. As a franchisor, a franchise rewarding program will not ruin your bank account, but the effects may be huge for your business. Rewarding your franchisees is a great way to show how much you love and appreciate them. This is what Fiona Simpson, a contributor for Forbes, noted in his posts lately. Fiona Simpson notes that there are some ways to appreciate achievements of your franchisees. The strategies may vary with areas of the business, depending upon the habits and cultures of the country. The point is that by giving the right franchise rewarding program, you can simultaneously strengthen the business base. Of course, the type of reward is also affected by the budgets you can allocate for the program. Whatever the type of franchise rewarding program you want to apply, make sure that it mirrors the franchise’s core values and culture. It must be meaningful for the franchise achievement as a whole. Therefore, make sure that the reward program reflects the brand’s personality. Besides keeping the franchisees motivated to grow the business, such program will also help you build a more powerful branding strategy. There is no need to hold a huge award event. However, a formal award ceremony benefits you in many ways. This is the time for you to gather the whole network into a single place. It also provides your business partners with prides, as they feel respected. More importantly, an annual franchise award ceremony can be a great marketing and branding moment. Even though the ceremony is simple, the eyes are on your franchise during the moment. Besides the franchisees, you can invite other business partners like supplies and media to join the ceremony. You certainly need some budgets for this annual award program, but the benefits are worthy the costs. As the franchise rewarding program goes, you can vary the reward systems. For instance, you may use financial reward scheme at the beginning. Next year, you can combine it with other material perks, like grand prizes, paid holidays and so on. Take Chick-fil-A as an example. It provides a prestige car for top performing franchisees for the year. You can use a similar scheme, even though the value of the prizes may be different, depending upon your financial condition. Moreover, you can also invite the team to give their ideas on the franchise rewarding program schemes. 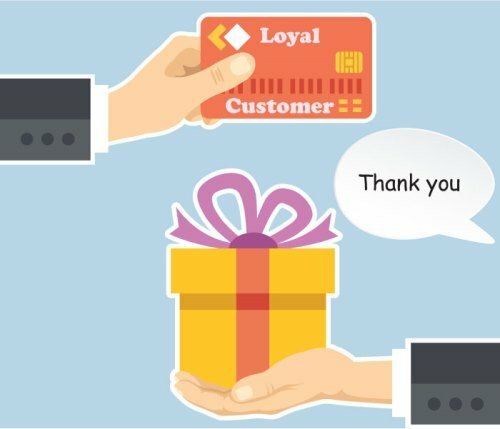 Recognition and appreciation programs do not need to be expensive. More important is the values for your business networks.